This bi-fold continental wallet is crafted from soft nappa leather and embellished with a small dark gold butterfly on the flap. It is made in a new construction that gives our iconic intrecciato weave a framed effect. The design is detailed with double seams, hand-painted edges and a leather interior. 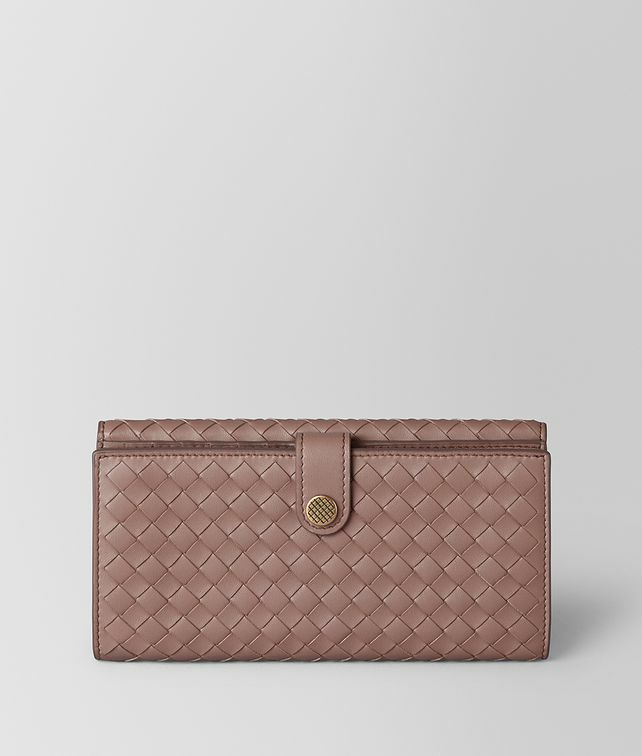 The interior is fitted with nine card slots, three compartments for storing notes and receipts and a zip coin purse. Finished with an intrecciato-engraved snap button.